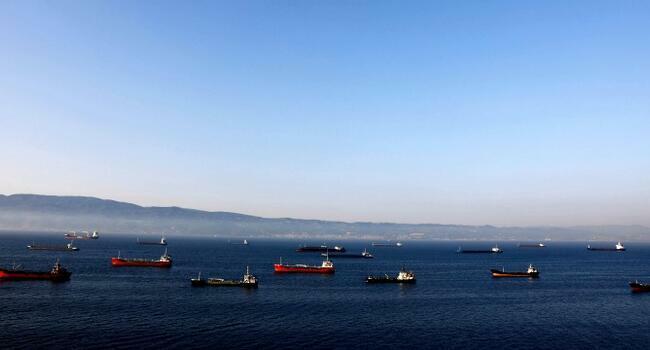 The United States has granted exemptions to eight countries, including Turkey, allowing them to temporarily continue buying Iranian oil, Secretary of State Mike Pompeo said on Nov. 5, as Washington reimposed sanctions on Iran's banking, energy and shipping industries. The U.S. reintroduced sanctions against Iranian oil on Nov. 5 while giving some of Washington’s closest allies exemptions that allow Tehran’s biggest customers, mostly in Asia, to keep buying crude for now. China, India, South Korea, Italy, Greece, Japan and Taiwan are the other countries beside Turkey that received a six-month waiver on the U.S.’s resumed sanctions on Iran, Pompeo said Nov. 5. President Donald Trump's administration added 300 new designations including Iran's oil, shipping, insurance and banking sectors, aiming to cripple Iran's main export revenues from the petroleum industry. The SWIFT banking network also said Nov. 5 it has suspended "certain Iranian banks" from its services. "In keeping with our mission of supporting the resilience and integrity of the global financial system as a global and neutral service provider, SWIFT is suspending certain Iranian banks’ access to the messaging system," it said.